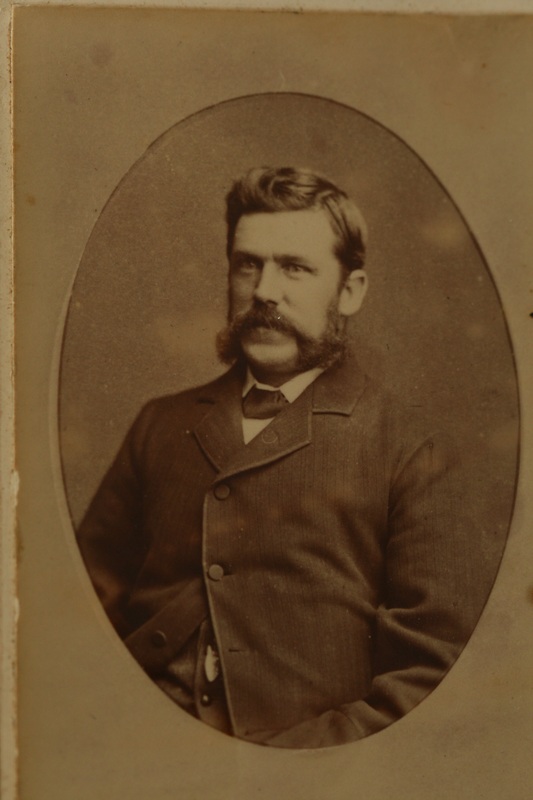 Jesse Cowley was appointed Council Clerk [Town Clerk] in Newtown, Sydney, in January 1881, and he held that position for almost 20 years. Previously he had been Council Clerk in Paddington. Jesse Cowley was born into a family of stonemasons in Fairford, Gloucestershire, England, in 1837, the eldest of seven children of Isaac and Charlotte Cowley. 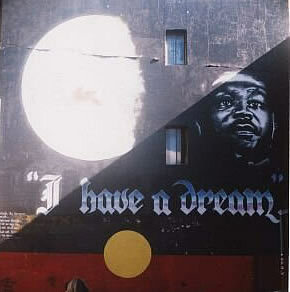 He came to Australia in 1857 when he was 20 years old, and in 1858 he married Ann Clara Fisher in Sydney. 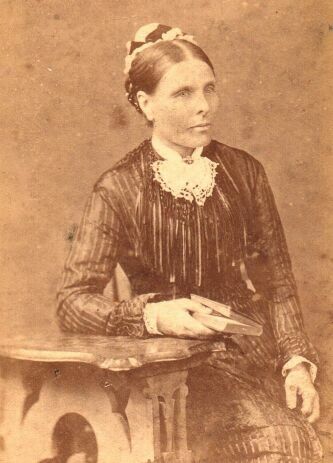 In 1859, his parents, Isaac and Charlotte Cowley, and the remaining six children emigrated from England to South Africa where they became a well-known and respected family in Durban. Their second son, Alfred Sandling Cowley, followed his older brother, Jesse, to Australia from South Africa in 1871, and established a family in Queensland. 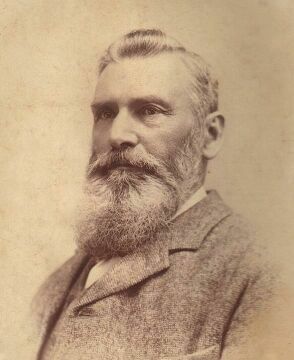 Alfred became manager of sugar plantations near Ingham and, later, a member of the Queensland Legislative Assembly of which he was Speaker for 10 years. He was knighted in 1904. 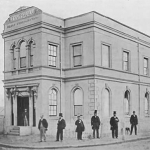 When Jesse Cowley was appointed to the position of Council Clerk in Newtown in 1881, he moved into family accommodation at the Town Hall with his wife and six children, three boys and three girls. My grandfather, William [Will] David Cowley, born in 1870, was the fifth of those children and the second son. Will was the wild one in the family, apparently, and when he was about 11 years old he got into trouble with his father who punished him severely. As a result of this punishment, he ran away and disappeared from Sydney for about five years. It seems that he went to Queensland where his father’s brother, Alfred, took him in on one of the sugar plantations. Perhaps, then, his parents were kept informed of his whereabouts. During his last illness in 1941, my grandfather, Will Cowley, wrote about this time in his life in Newtown and his reasons for running away. 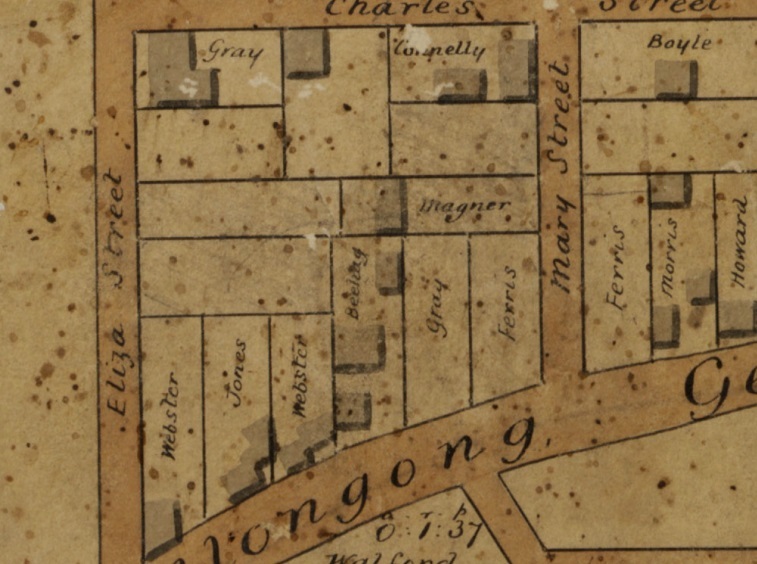 His story, which he called Story of a Youthful Ned Kelly, describes the Newtown of that time, the 1880s, and it may be of historical interest to those people who have a Newtown connection. 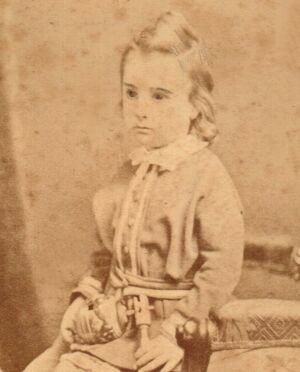 Jessie Cowley’s son, William, taken 1875. This story will relate how a trifling incident may have far-reaching results on one’s future life and, no matter how one may adhere strictly to the truth, it still appears to be nothing but a tissue of lies. After a lapse of some 60 years, it is a bit difficult to recall in detail an event in my life that eventually was attended with disastrous results to myself, especially with reference to my education. 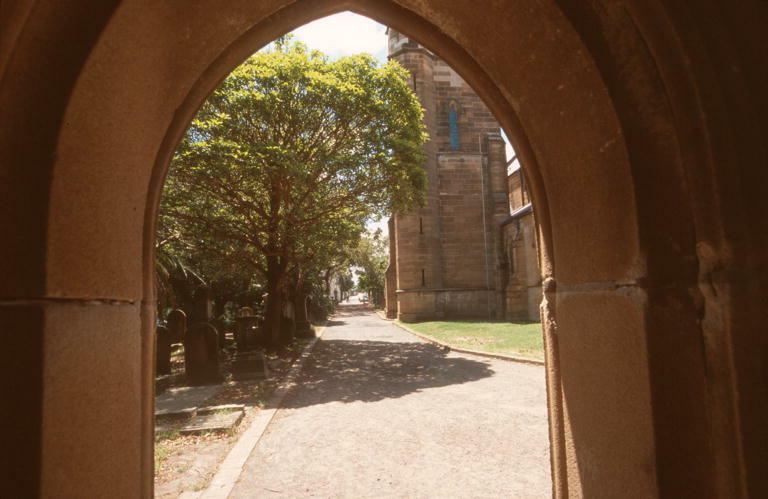 When I was about seven years of age, my Dad was appointed town clerk of Newtown, a rapidly growing industrialised suburb of Sydney, which could then boast amongst its accomplishments one of the greatest larrikin elements to be found in any Sydney suburb, both of boys and girls. 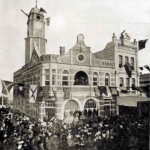 We, the family, resided in the town hall building, a two storey gloomy structure that still exists, and practically in the same condition, to this day. The back yard was about 20 feet square, abutting on to a blacksmith’s forge where, at times, one could receive tuition in the choicest language imaginable and which children are very apt to acquire. In addition to this education facility, there existed, not 500 yards [approx 500 metres] away, one of Sydney’s huge omnibus company stables whose employees were past-masters in all that was vile and evil. To a youngster like myself, passionately fond of horses, the blacksmith’s shop and the bus stables were just paradise. 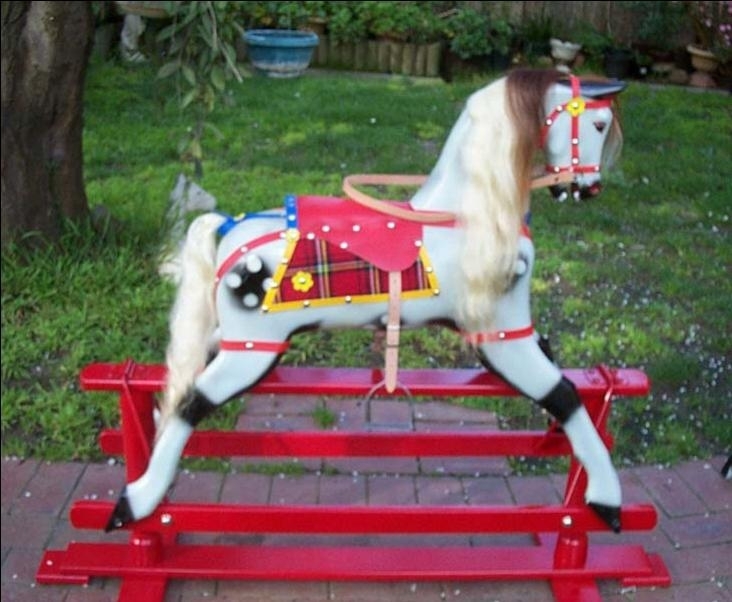 How proud and delighted I was to hold a horse by the halter when being shod or harnessed up to the bus, or to hold the reins until the driver was ready. With such an environment, it is not to be wondered that I was a bit wild and seemingly always in disgrace about some trivial prank or other. My [younger] brother, Frank, was not like this, stables and horses had no attraction for him, and he was really a dear little good-looking boy whom everybody loved and liked. For making myself handy about the stables (the sink of iniquity), I was frequently given rides to Sydney by the drivers, to spend whole days away from school on Sydney’s wharves watching the shipping from all over the world arriving and departing. And here too I picked up some choice saying and habits. Probably, in a few years spent like this, I would have spoken all the languages of the world in time. And what about food for a hungry growing boy all day long? Well, from the Fiji boat there were always huge bananas dropping from the ship slings, besides visits to the ships’ galleys where, if you struck a Jap or black cook, one always received a kindly welcome for a hungry boy. 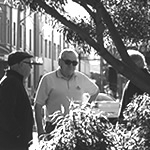 Believe me, I knew Sydney wharves and shipping second to none and made many friends, such as they were. What more did a boy want? No school, no homework, plenty of excitement, and sometimes no inconsiderable supply of tips for small services rendered. One source of revenue was at hand most times, to be had by hopping on the back of a two-horse bus (whose driver was supposed to collect the fares per medium of a hole in the roof of same) and calling out in a loud voice, ‘Fares please’, when quite a number of old dames could be relied on to hand over threepenny pieces. Having collected 9 pence or a shilling, it was an easy matter to drop off the back and quickly disappear in the crowded city. Sometimes, however, the driver would see out of the corner of his eye what was happening and round would come the lash of his long whip. And didn’t it just sting! About the year 1881, the Kelly gang were at the height of their bushranging activities and boys of all description spent a good deal of their leisure hours playing the game of the Kellys, mostly Saturday afternoon. Four or five boys would gather together, go into the bush, which was quite handy, and play, and it was considered quite an honour to be elected ‘Ned Kelly’, the leader. The competition was always keen for this position and allotted by voting. We played the game very intensely, boys sometimes getting hurt in the game, with hard knocks, but all cracked hardy. Our outfit for this game included all the food we could beg, borrow or steal, together with jam tins etc for cooking utensils. It was good fun and we enjoyed every minute. (You will see later on why I am referring to this childish game.) I think we played Ned Kelly in the same spirit as the American youth played red Indians. I was now about 11 years of age and had certain domestic duties allotted to me to perform every morning, which included lighting the fire, cleaning the boots and sweeping Father’s office, all of which I thoroughly and intensely hated, especially the sweeping business. My Dad, like most men, enjoyed a game of cards with a moderate amount of small stakes involved, and he occasionally had a few of his friends for a card evening. What game they played I know not, but I do know (to my sorrow) they used brass counters very similar to sovereigns [gold coins worth one pound]. In fact, several times I’d seen Dad play jokes on his friends with these brass counters, making believe they were real. To get to the office to perform my domestic pet aversion in the morning, I had to pass through our parlour (so called in those days), and one morning on the carpet I picked up one of these counters, yellow and shiny. I just put the thing in my pocket, intending to give it to Father at breakfast time, but I forgot all about it. During the course of the day I met some of my pals and, wanting to impress them with my importance, I exhibited this damned counterfeit sovereign which I had discovered in my pocket. What I said to them was all in a joke, and my reply as to how I was the proud possessor of a gold sovereign was that my father had given it to me. Of course, all wanted to spend it at once and have a good time, but I was not taking any. I kept it two or three days to keep up my prestige, fully intending each night to give it back to Dad. However, Saturday came round with our usual game of bushrangers and, on condition that I spend some of the sovereign, I was unanimously elected Ned Kelly, the leader for the full day. But I stipulated we must play the game first of all, after which I was going to come down in the world by acknowledging it was spurious. During the game, I puzzled to find a way out of my quandary, and I came to the idea of playing a joke on them all. I thought, and rightly so, that any shopkeeper would at once detect the fact of its being brass and that any boy hoping to buy articles with it would come flying out of the shop, chased by a disgusted shopkeeper. In anticipation of this, I gave the coin to a boy telling him to go to a small shop some distance away and buy a tin of jam. In the meantime, I informed the other boys of the fact that the coin was valueless and, as leader of the gang, I positioned them behind bushes to watch the fun I anticipated would ensue. But it didn’t turn out that way. The boy came out of the shop in a hurry alright, but there was no infuriated shopkeeper chasing him. Instead he had a tin of jam and a fist full of silver. To say I was astonished is putting it mildly. I was speechless, and the only thing I could think of was, ‘Why, the damned thing was a good one after all’. Then the rest of the gang said, ‘Thought you said it was a bad one’ and ‘Garn, we know yer’. What was a boy to do? Reader, what would you do in such circumstances? Well, frankly the problem was beyond me. With all this silver, what to do next? Twenty shillings in 1881 would purchase in those days what would take 60 shillings today (1941). We decided on a trip to Manly. Next idea was lollies, so I went to a big sweet shop and asked for 6 lbs of jujubes. ‘You mean ounces,’ said the man. ‘No,’ said I, ‘pounds.’ And what a bagful, a pound and a half for each boy. Of course, we were unequal to the task, so jujubes were scattered everywhere and, so far as we boys were concerned, our appetite for any other eatables had vanished. What a tragedy! Returning on the boat to Sydney, I thought, ‘What am I to do with the rest of the silver?’ No use taking it home. So after giving each boy his tram fare home, I quickly dropped the rest into the harbour. Like most people who do wrong, one can find consolation in the thought, ‘Oh, I’ll never be found out.’ But Nemesis was on my track. I remember that evening tea at this moment. Everything was going along in the usual manner – a happy family evening teatime, with the lively family conversation. Then came a knock at the front door, my sister, Lill, being sent to answer it, I never dreaming the visitor had anything to do with me, nor of course the rest of the family. But when my sister returned saying, ‘A Mr Rogers wants to see you, Pa'( we always addressed our parents as Pa and Ma), I wilted like hothouse plants suddenly exposed to the sun. Mr Rogers was the father of the boy who bought the tin of jam. It seemed a lifetime before my father returned, with a look on his face as black as thunder, and his words to me were, ‘Willie, where did you get the sovereign you spent at Manly today?’ ‘I picked it up, Pa.’ ‘Where?’ ‘In this room.’ ‘Don’t tell lies. You must have stolen it from somewhere.’ ‘No, Pa. I picked it up on the carpet and I thought it was one of your counters.’ ‘More lies. No-one would cash a thing like that.’ Protestations were to no avail. Speaking the truth got me nowhere, and finally I was ordered to my room. Mr Rogers had ascertained from his son where the coin had been cashed. He and Father went straight away and discovered the shop to be run by an ignorant old widow lady who, at Father’s request, produced this cursed bit of brass, carefully rolled up in paper, which was immediately recognised as one of the card-playing counters. And how had all this been so quickly discovered? Very simply indeed. Mr Rogers had a friend to tea that evening who, on sitting down at the table, said to his host’s son, ‘Harry, did you and your party have a good time at Manly today? I saw you having a great time’, quite innocently, not knowing what was to be the outcome of that ordinary teatime chatter. Then, of course, Harry had to explain by what means he got there, and it all came out. Mr Rogers thought it funny that a boy of my age should have a sovereign to flash about. To verify his son’s statement, he called on my Dad and, of course, the lid blew off the copper, and without having to speak the truth of the whole matter. I got a dreadful thrashing with a horsewhip on the bare skin that left me in a very bad way indeed. (I’ll pass over this portion of my punishment without further comment.) The added penalty of my sentence was bread and water for a whole eight days confined to my bedroom and, in addition, a visit from the local burly police sergeant on Friday morning threatening to place me to board with that notorious bad boys training ship, The Vernon. Of course, at the time, this was done to impress upon my youthful mind the serious crime of passing bad money. Now, at this moment, all excuses must be made for my father who, at that time, was really under the impression that I had deliberately stolen one of the counterfeits with the full intention of making illegal use of it. He was really a good father, having only one very bad habit ‘ drink ‘ which eventually ruined him. My mother, whom I adored, was an earthly saint, full of human sympathy and a true Christian in every sense of the word. Mother had a hard life owing to Father’s one fault. I often wonder what view a magistrate would take of a case like mine. Here was a boy who picked up a false coin on the floor of the diningroom, fully intending to hand it over to his father, but forgetting all about it. Then, in fun, he exhibits it to his pals for a joke and, as a joke, asks a boy to buy a tin of jam, only to find the coin was cashed, which in turn left him not knowing whether the thing was genuine or not. Another thing, what does the adult mind know, or how can it grasp, the meaning of the word ‘prestige’ to the very youthful boy, especially one of a very sensitive nature? I spent eight days in solitary confinement, seeing and speaking to no-one except my mother. I was something to be avoided. Is it any wonder that I brooded over my position and determined to end it, once and for all, at the first opportunity after I was released from my room on Sunday evening at teatime. But the position was very trying and I was glad to go to bed early to get away from an intolerable situation. On Monday morning before break of day, I dressed myself in my best suit, secured my moneybox, put it in a sock, opened the window leading in to the lane and completely disappeared into the blue for five years. I think it a good idea for sons and daughters to know something of the early history of their parents, and it is with that object in view that I have written you of the most important episode in my early childhood life. I’m sure you will find it interesting if you find time to wade through these 14 pages. It is somewhat difficult to put same in story vein after 60 years have passed, and I find great difficulty in writing, hence the pencil. Also, as I’ve written whilst in bed, it has helped to pass away some weary hours. What I would like to impress upon you all is this: Always be sure and certain of your facts before punishing your children. Then, when you are certain, don’t make the punishment too hard. If my dear mother had only put her arms around my neck and said, ‘Willie, if you won’t be a good boy for your own sake, try to keep out of trouble for mine’, that would have appealed to me more than brutal punishment. Will Cowley enlisted in a Light Horse Regiment in Western Australia in 1900 and went to South Africa to fight in the Boer War. He saw no action however, but stayed on after the War and found employment there. His Cowley relatives in and around Durban made him very welcome. In 1903, my grandmother, Edith Marion Walker, went to Durban from Sydney to marry him. There they had two daughters before returning to Australia where they established themselves in Adelaide. Two more daughters were born in Adelaide, one of whom died as a child. Will Cowley was a gentle and loving father and they had a very happy marriage. 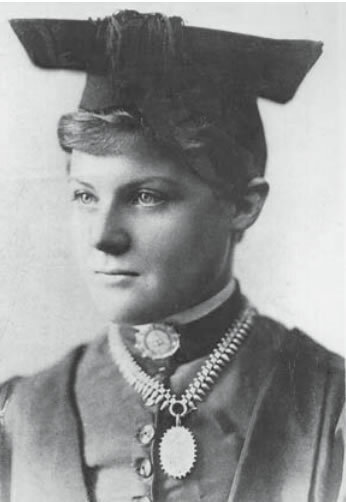 Will Cowley’s eldest daughter, Beatrice Anne (always called ‘Betty’) Bartlau is my mother, and she has outlived her younger sisters. Betty Bartlau (nee Cowley) was born in Johannesburg in 1904 and she will be 100 years old on 2nd June 2004.